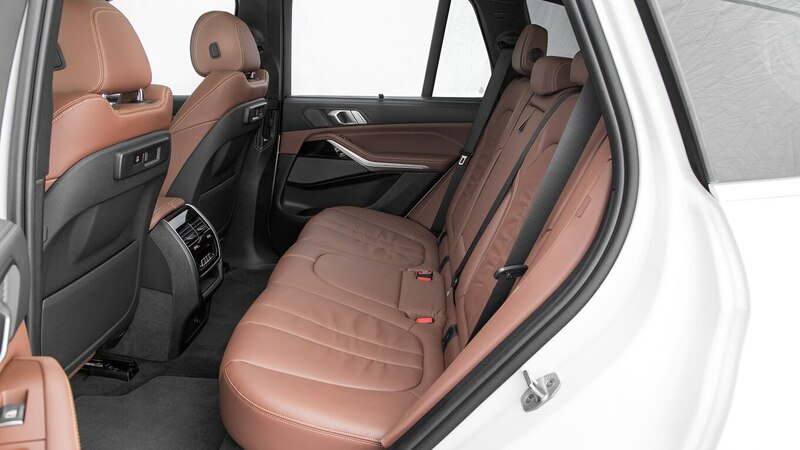 A staffer who recently spent time in the 2019 BMW X5 sent me the following Slack message: “I love the tailgate. Love it!” Pro tip for new parents: Apparently it’s great for changing diapers. That rear hatch and tailgate combo is relatively rare (check out Land Cruiser and Land Rover Discovery), though it’s been around since the X5’s birth two decades ago. Standing out is a good thing in the super crowded luxury crossover segment. 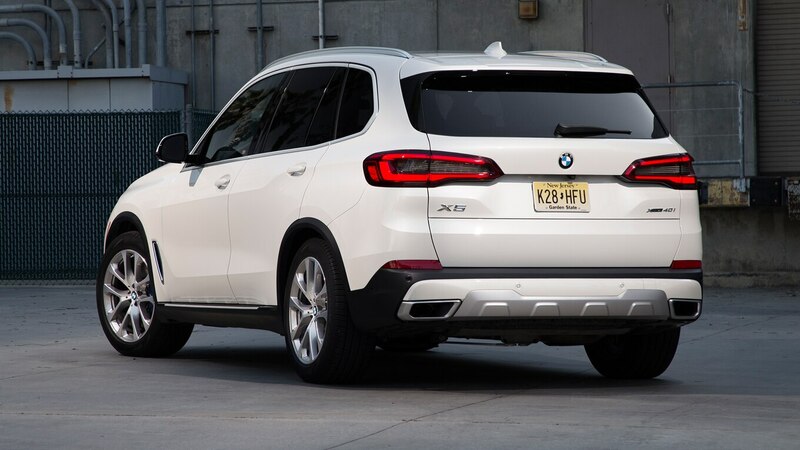 But does the fourth-generation X5 stand out in any other way? How about being quicker than its peers? 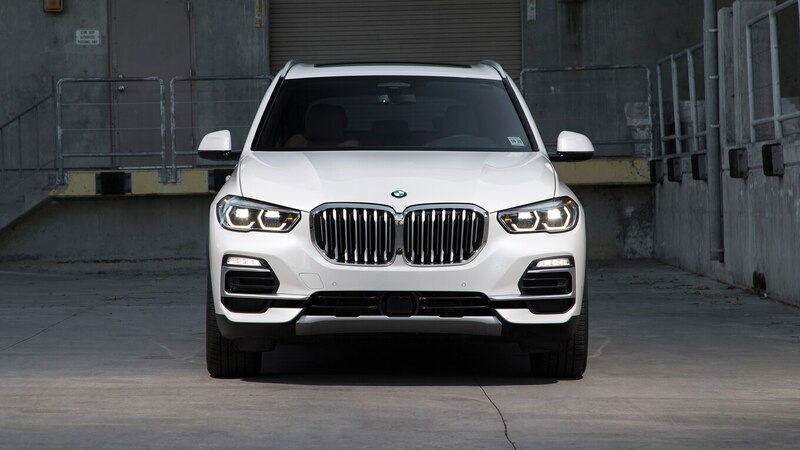 With a stronger 3.0-liter, turbocharged inline-six making 335 hp and 330 lb-ft of torque (35 hp and 30 lb-ft more than the outgoing model), the new X5 launches from 0 to 60 in just 5 seconds flat. 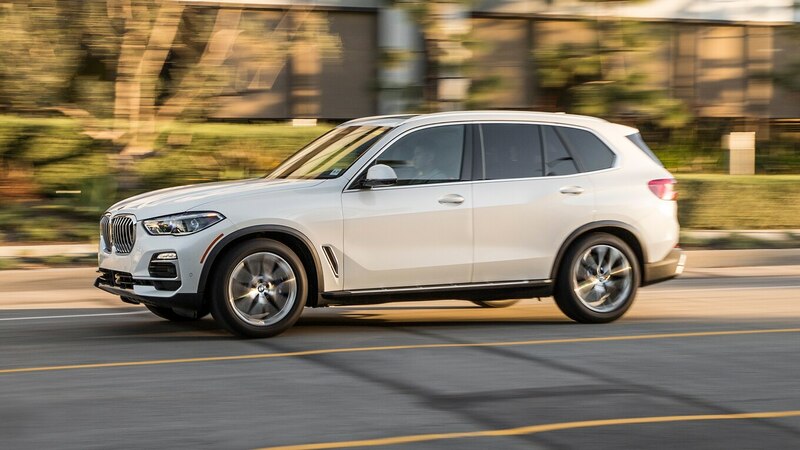 It barely beats the new 2019 Porsche Cayenne we recently tested by a tenth of a second. Both reach the quarter mile in 13.7 seconds at about 100 mph (160 km/h). 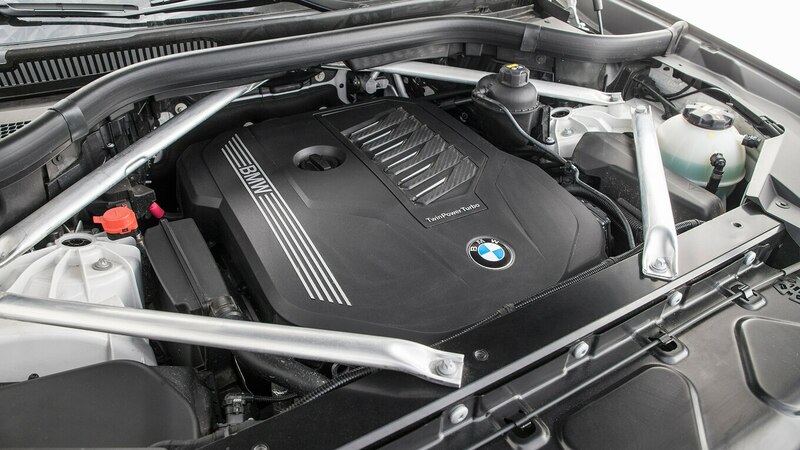 Quite impressive, especially considering that the BMW tipped our scales at 4,854 pounds (2,202 kg), which is 178 pounds (80 kg) heavier than the Porsche (which coincidentally churns out similar power from its single-turbo V-6 rated at 335 hp and 332 lb-ft). And not only is the X5 quicker than the Audi Q7 3.0T and the 2017 Jaguar F-Pace S, but it ties SQ5 to 60 mph. The last two are lighter and more powerful. We’re eagerly waiting for the chance to test the new Mercedes-Benz GLE. 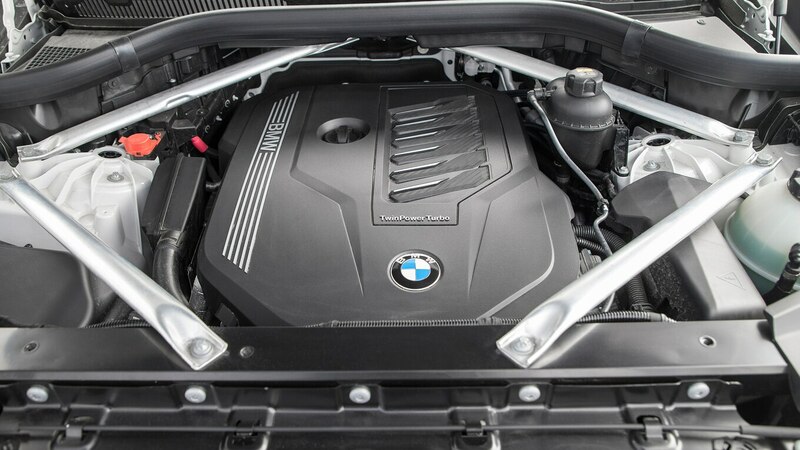 The X5’s “power feels quite linear,” road test editor Chris Walton noted. 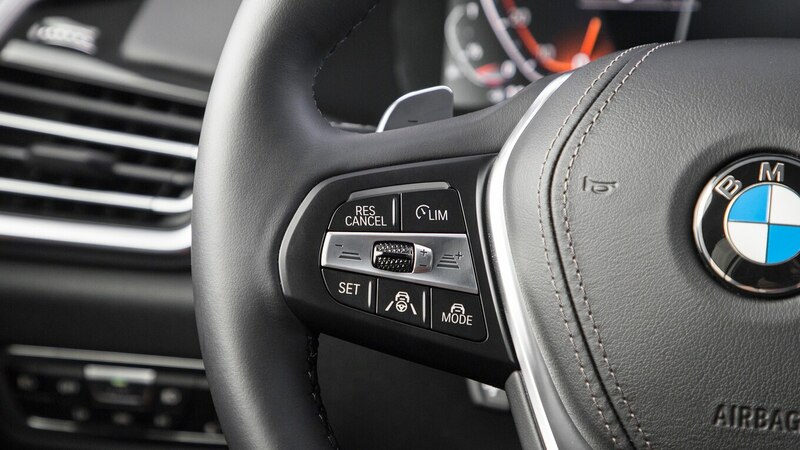 “Quick, fast, and very consistent.” He also praised the eight-speed for super quick shifts. That gearbox has been revised with new gearing, including a shorter first gear. 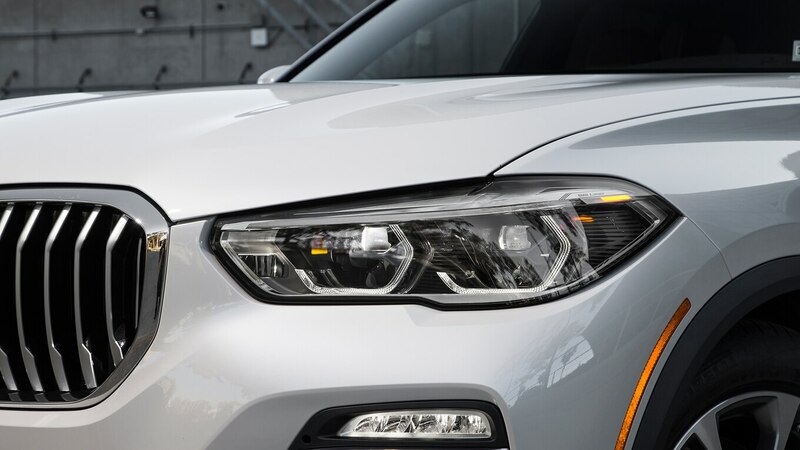 The BMW’s weight is likely the main culprit for its 60–0 mph stopping distance of 119 feet, which is a few feet more than both Audis and the Jag. The Porsche is the overachiever in this group, coming to a halt in an astounding 105 feet. 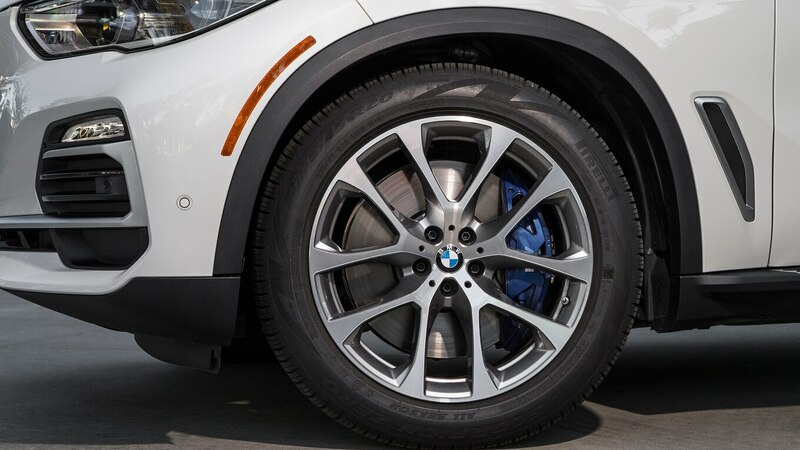 We should point out that our test car is among a small group of early-build “xLine” trim units fitted with optional M Sport brakes that include lighter aluminum calipers (four pistons for the fronts, two pistons for the rears) and larger rotors (15.6 inches up front and 14.6 inches at the rear). 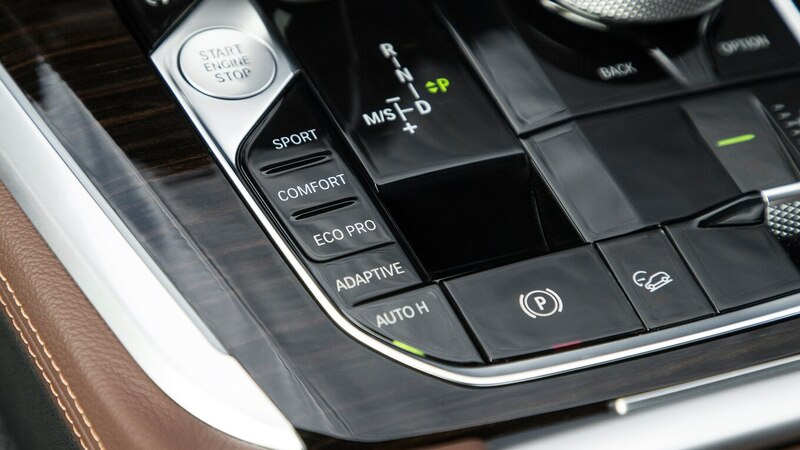 BMW has since made those brakes exclusive to the M Sport package ($5,850 USD), which includes adaptive dampers and a long list of creature comforts. Fun stuff, but most customers will likely focus less on its tail-happy nature and more on its taut handling. 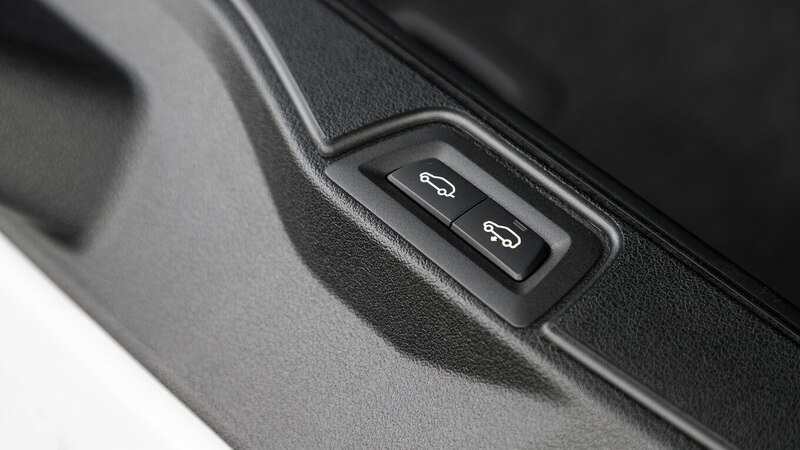 Our tester was equipped with the optional air suspension ($1,000 USD) that adjusts ride height based on speed, drive mode, and a switch on the center console. The overall ride is smooth and controlled, and we found that the suspension handled highways and L.A.’s potholes quite well. Road and wind noise is minimal, but acoustic glass is also available ($3,000 USD) for those who desire an even quieter cabin. 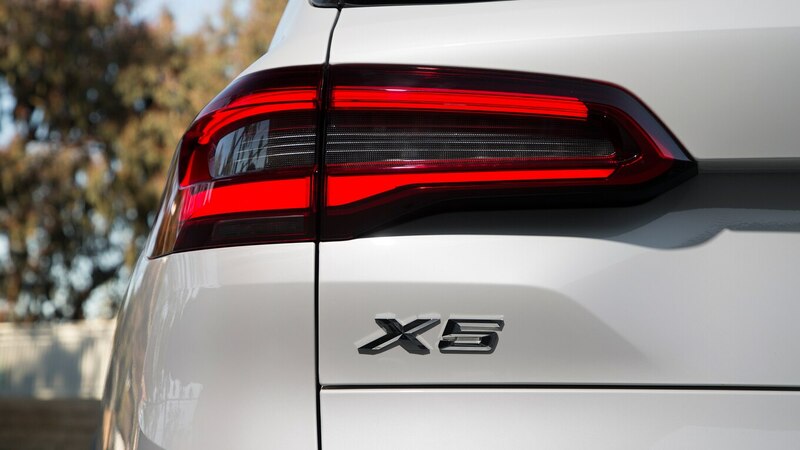 After the X5 impressed the test crew, it worked its magic with our MPG team, as well. 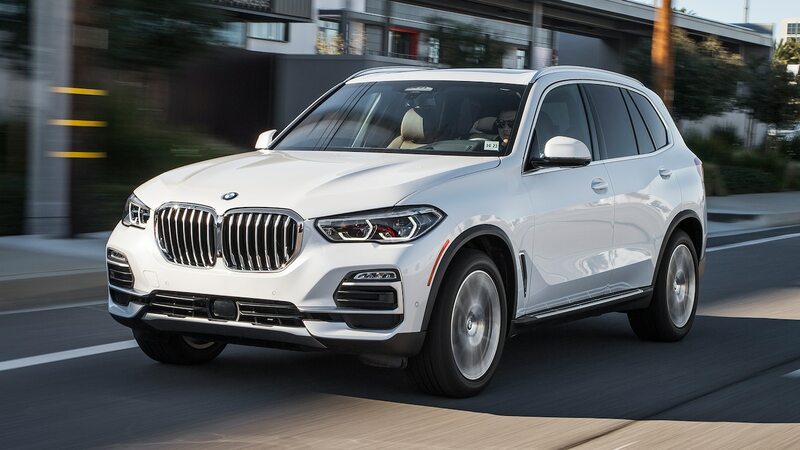 The EPA rates the 2019 X5 xDrive40i at 20/26/22 mpg (11.8/9/10.7 L/100 km) city/highway/combined, but its EQUA Real MPG figures came in at 23.2/28.2/25.2 mpg (10.1/8.3/9.3 L/100 km). 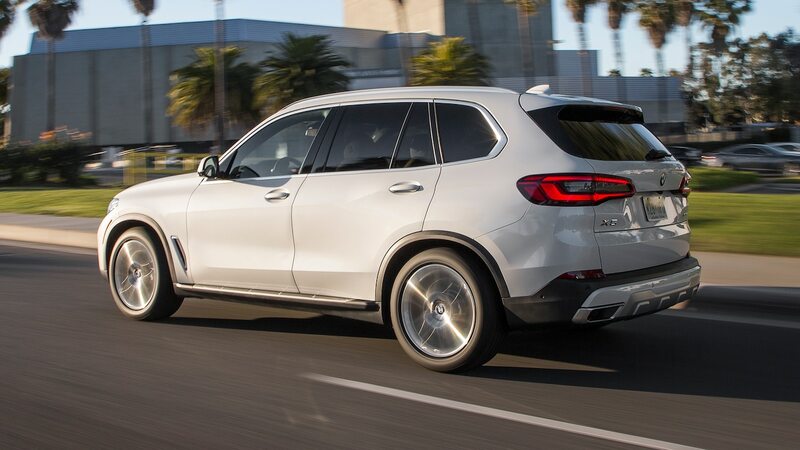 We have yet to MPG test the Cayenne or 2020 Mercedes GLE 450 4Matic, but the BMW’s EPA ratings are higher than both. 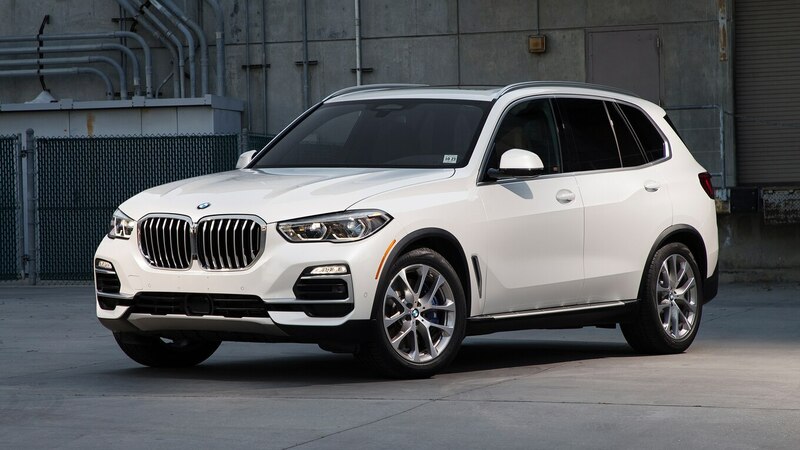 A 2020 X5 xDrive45e plug-in hybrid is due soon for those looking to further decrease their carbon footprint, and there’s still no decision on a diesel powertrain for the North America. 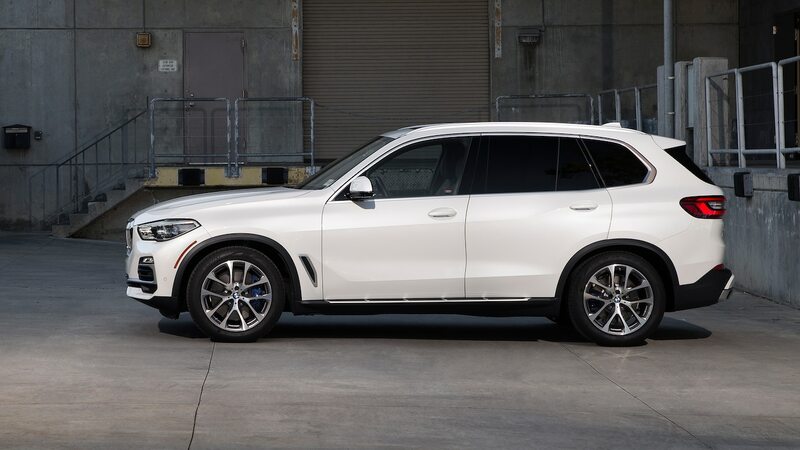 The 2019 X5 starts at $61,695 USD and can easily get pricey. 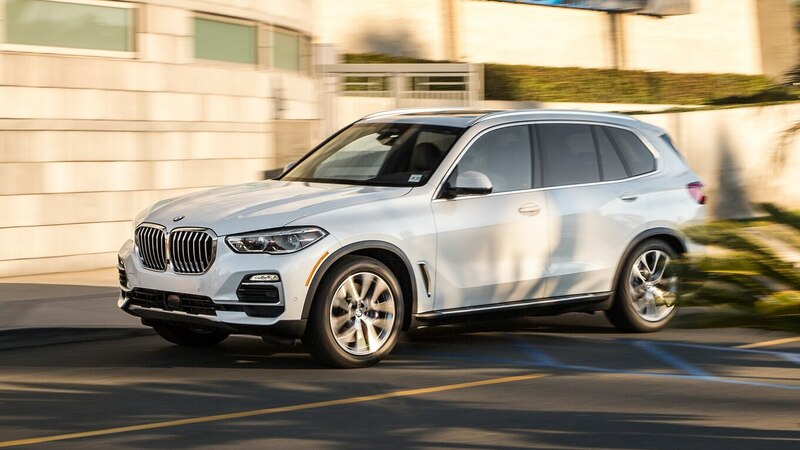 Our X5’s as-tested price totaled $73,980 USD thanks to three packages and a handful of à la carte options. 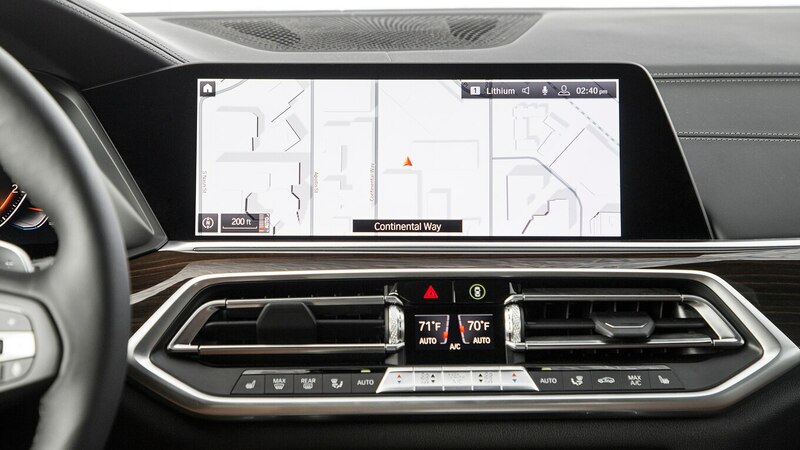 Our First Look and First Drive reviews thoroughly cover the X5’s long list of new technology (and its new off-road package), including the next-gen iDrive infotainment system that now features touchscreen capability and improved layout. 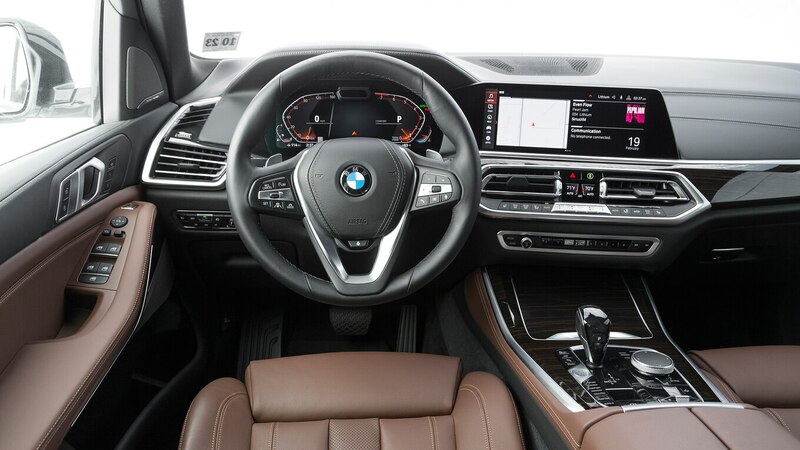 BMW’s Gesture Control, which allows you to control some infotainment functions by moving your hand in front of the screen, seems better, but it still needs more tweaking; holding your phone close to the dashboard, for example, inadvertently activates the system. Wireless Apple CarPlay is fantastic, but it was a buggy, occasionally disconnecting from my phone and freezing apps like Spotify. Could it be an issue with my month-old iPhone XR? Maybe. 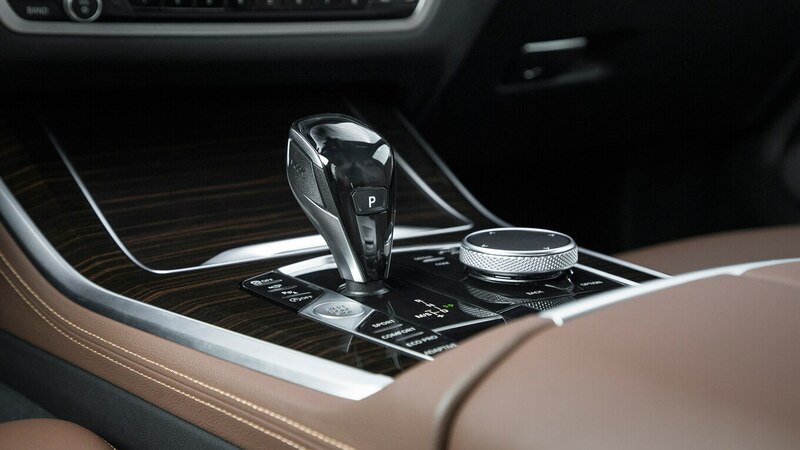 But hopefully BMW and Apple can figure it out. Another gripe? 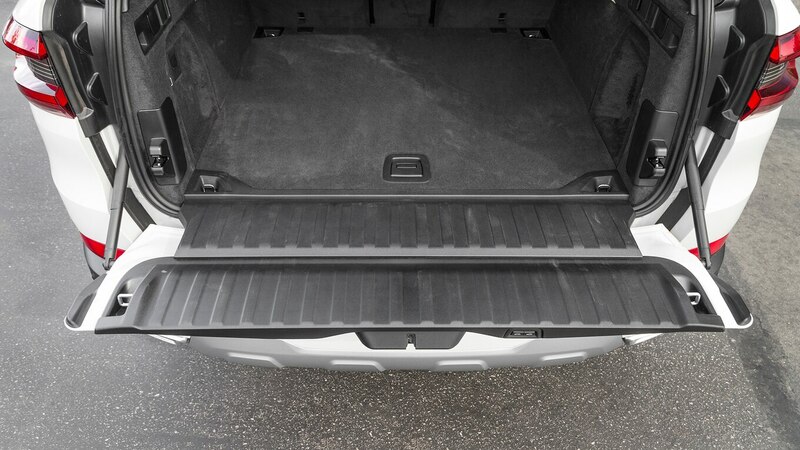 The optional running boards. They hit the mark on looks but are a functional nuisance. Many passengers found themselves rubbing their legs or pants against the boards while exiting. We’d skip those. 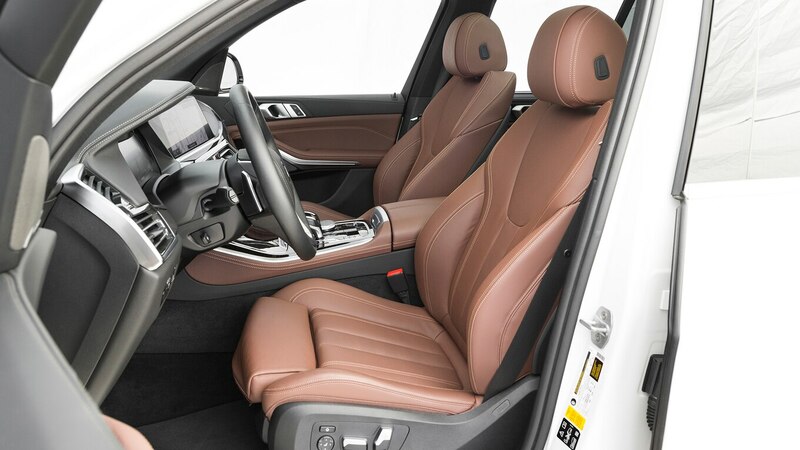 These small gripes don’t overshadow the X5’s decent handling, sharp interior, and comfortable ride. That the Porsche, Audi, and Jag will struggle to catch its tailgate is a nice surprise.